As we head into the first season of what looks to be another great year of anime, as is sort of the tradition now, I’d like to give 2016 one last look before moving on. 2016 was a really good year for anime in some ways. While it didn’t have the variety and range that I think 2015 had for me personally, what 2016 did have is some really spectacular highs. There are very few years I can remember for anime, where I’ve actually had some additions or upsets to my overall favorites list for the medium. Yet 2016 brought forward some truly remarkable stuff, and because of that, I will always remember it as a year that gave us quite a bit. The other remarkable thing about 2016, as you’ll find out, is that there are very few series on my Top 10 list, that I actually covered myself. I don’t know if that speaks to how I really missed the mark this year, or if it speaks to how I was consistently and constantly surprised, for the better, as the year went on. It also I suppose, speaks to the quality and eye of the other writers here at Anime Evo, some of which identified the year’s more memorable series a lot earlier and quicker than I did. Its worth mentioning that while there are a lot of series that I’m ignoring in this list (and the honorable mentions), I will say that simply by being covered (whether in episode blogs or reviews) a series definitely stole a reasonable amount of my interest and personal space, even if it didn’t entirely succeed. Maybe there’s a case for doing a “fell just short of greatness” list in the future, but I suppose that really does depend on the year. Enough reminiscing though, lets get to this here list of titles. Last year, my honorable mentions category was a bit more involved and detailed than what you’re probably seeing here. The problem with 2016 though, is that there were just a lot of good series, and giving them all their due, time and space, would make this a top 25 list if not something bigger. So, if nothing else, 2016 was a really competitive year, and the fact that I’m not covering the huge bunch of series that are in the honorable mention category, is enough proof of that. I suppose I’ll start by mentioning 91 Days, which is probably on a fair share of Top 10 lists for other people. 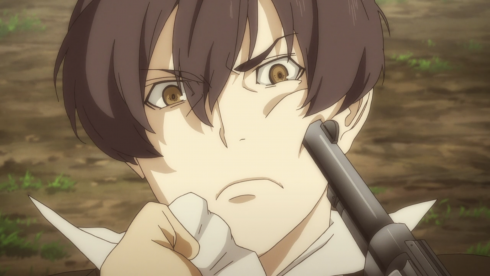 91 Days was one of the many examples of an anime series really transcending tone and style, and going for something that felt oddly out of character for the medium as a whole. The show was a period piece set during the Prohibition era in the United States, and felt more like an American gangster movie than your typical anime series. If there’s a reason that this isn’t on the top 10 list for me, its the ending didn’t quite work for me as it did some other people. 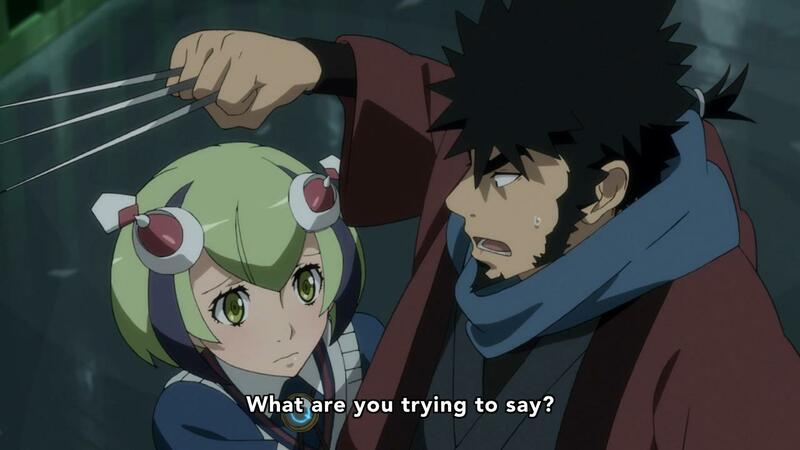 Speaking of which, Dimension W kind of doesn’t get the top 10 treatment for the very same reason. Its a good show, but it just lacked the pacing and the ending that would really make it all come together. 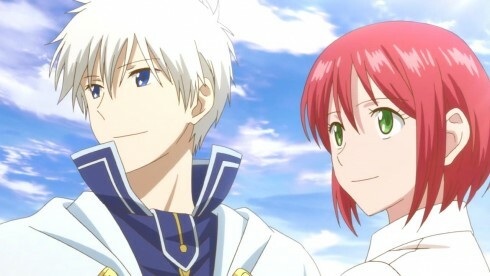 Akagami no Shirayuki-Hime’s season 2 had the opposite problem. The show really delivered a solid ending, but the shift in focus at the start of the season really did hurt its overall appeal. Everything else, just kind of doesn’t get into the top 10 simply because there were just shows that were so much better, and ground breaking. Some of these shows actually have A or A+ grades, or would get that kind of rating from me, if I haven’t written about them. Leading the pack are shows like Natsume Yujinchou’s fifth season, Jojo Bizzare Adventure 4: Diamond is unbreakable and Re:Life. Those series are closely followed by stuff like Aijin, Kono Subarashii Sekai (which I kinda might be giving the shaft because of its very timely second season coming) and Kono Bijutsubu ni wa Modani ga Aru!. Finally, I’d like to give a shout out to None other than Fairy Tail’s second series, which showed off its Fairy Tail Zero story arc, before ending once again albeit with a confirmed season 3 on the way. 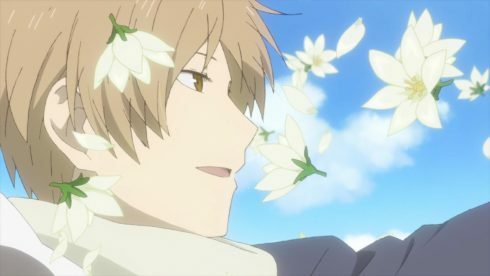 I have to say, I didn’t catch many series on this list, or get to cover them, but Boku Dake ga Inai Machi is a show that I did cover, week for week, and then reviewed. Simply put, Boku Dake is this year’s best anime series. I can say that, both from the perspective of the anime medium as a whole, and from the more personal prespective. I enjoyed this show immensely, and I think the thing it did best, was really play well with audience expectations. There was never an episode, that ended without me being super excited or super surprised at what I had just experienced. Everytime I felt like I was getting a handle on Boku Dake’s pattern, it would flip the table over, and create an entirely new and exciting paradigm. Couple that with great characters, great performances, an expert adaptation, and its hard not to see Boku Dake making it to the top of a lot of people’s lists for 2016. Its interesting to see that 2016’s top 2 series almost book-ended the year. While Boku Dake ga Inai Machi came at the very start of the year, Fune wo Amu actually sprung up on me at the very end. I actually didn’t watch this show as it was airing, and a big reason for that was that Amazon (the rights holder in the US) got the rights to the show but never actually published it. The series kinda went to the wayside for a lot of anime fans in the US I think, especially since a lot more of us have switched to using Legal Streaming sites in the last few years. Which, is a tragedy, because Fune wo Amu is an exceptional series in a very different way to Boku Dake. 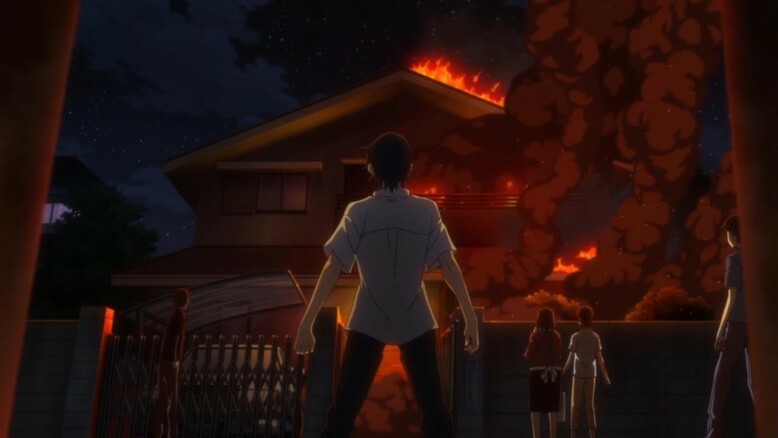 Its a show that doesn’t have any supernatural elements to it, or big drama, its a show that revels in a quiet, reflective and mature story that’s about the humanity of society, among many other things. Fune wo Amu is another one of those 2016 anime series that feel like they’re out of place in the medium. Its a story that’s so unique and different, that it elevates the medium by expanding the range of different experiences it can contain. 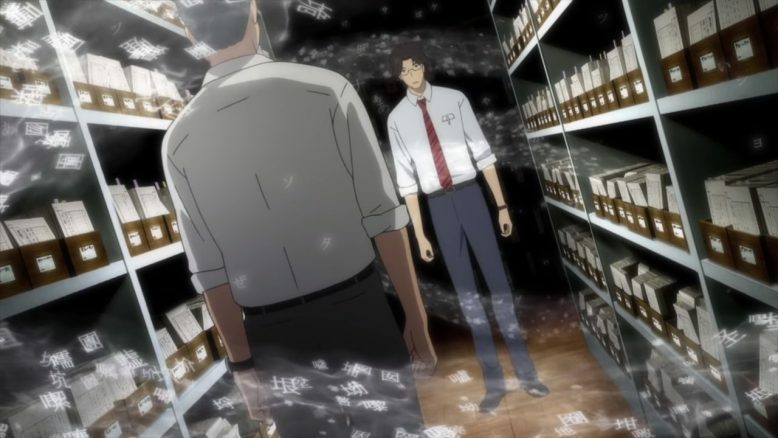 And thankfully, Fune wo Amu is a different kind of story that just nails everything. Characters, tone, the ending, you name it. Its hard to pick between this series and the number 1 winner, because I’d almost flip them, depending on what mood I’m in. Speaking of experiences that just really took you in unexpected places, Re:Zero is definitely a show that just, wowed me, multiple times. There are just moments in this series that dark, depressing and yet very human and emotionally powerful. Re:Zero started out as a typical Light Novel adaptation that was fun and interesting, and elevated itself to something really powerful that just played with the emotions of those of us that were invested. By the end, this was a show that had me hooked, invested and eagerly hungering for more. Out of all the series this year, I REALLY hope that Re Zero gets a continuation, and I believe it will. This was a show that actually did really well both in the west (it was crunchyroll’s most viewed series) and in Japan itself. So yeah, Re:Zero was awesome. In an alternate reality, I’d have covered, blogged and gushed about this series, but I’d say FlareKnight did a fantastic job, and really saw this series for it was, a lot earlier than I did. 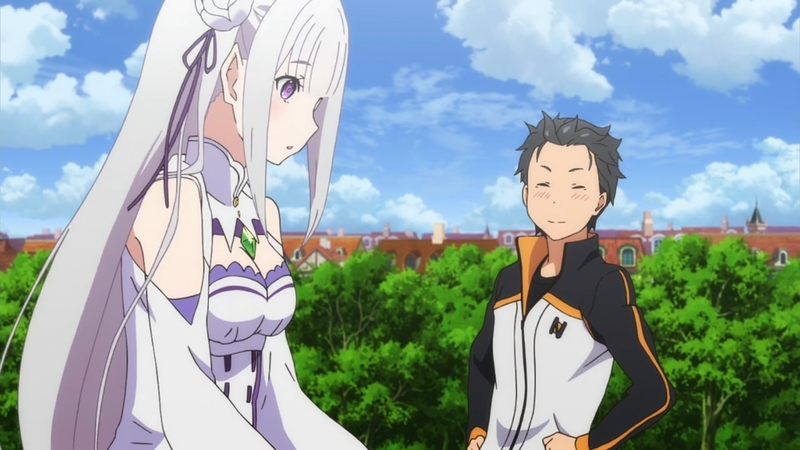 I honestly didn’t expect Re:Zero to ever be as good as it ended up being, but I’m really glad it was covered on Anime Evo, and I loved discussing and talking about it in the comments section, on a weekly basis. It feels like 2016 was the year of depressing, emotional series. It occurs to me, at this point, that the top 4 series for me this year, are all series that made me really tear up, at multiple points in their story. This is also another series that FlareKnight picked up and covered, and around the same time as Re:Zero, so I suppose that’s a pattern for me missing a series only for FlareKnight to swoop in and save the day. Grimgar was a series that I’d liken to a beautiful painting. Its got both a style, an identity and a really unique perspective on the rather tried and true medievil fantasy idea. Grimgar was a show that nailed both its characters, and its world building. The whole idea of following a party of adventurers that weren’t all that strong or dominant to begin with, in a rather brutal and unforgiving world, was something that just hasn’t been done before, in anime or video games. 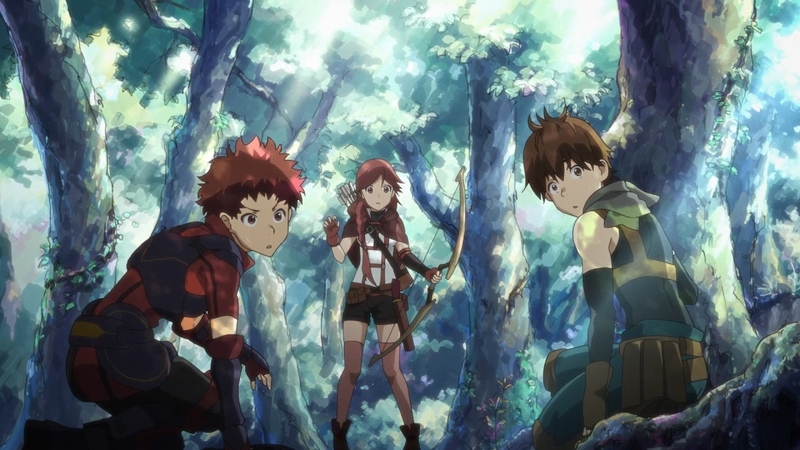 The only unfortunate piece to this story is that Grimgar didn’t light the world on fire, and so this is probably the last we’ll see of this rather imaginative fantasy world and its endearing characters. Keeping with the sort of pattern that’s emerged in this list, Boku no Hero was another show that really tugged at the heart strings. This is a show that just lives on its characters. Its another super hero show, and it came right after stuff like One Punch man had reignited and taken over that particular topic and idea. 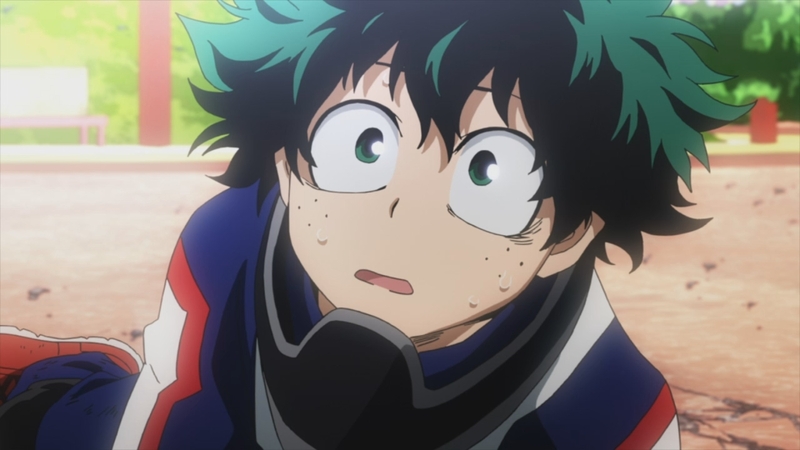 Yet Boku no Hero is just very traditionally Shounen in how it tackles the familiar idea, and its a show that just seems like the beginning of another powerful shounen franchise. And franchise it is, because 2017 is going to feature a second season, with potentially more on the way in the future. Also, its worth mentioning that this is ANOTHER series that FlareKnight found, covered and blogged about. Had he not, I probably would’ve ended up picking this up late in the game, as it really didn’t sell me until its second episode. Still, what a series, and what a fantastic start to a franchise that I’m sure we’ll see for years to come. Tanaka-kun is Listless is a show that I completely missed and ignored while it was airing, only to watch it a season or two later. I loved this slice of life high school sitcom show though. The most interesting part about Tanaka-kun was how unique its main character was, and how different and yet extremely lovable the rest of the cast was as well. These characters really were just endearing and heartwarming to watch, and their interactions had the perfect balance of hilarity and heartwarming to them. 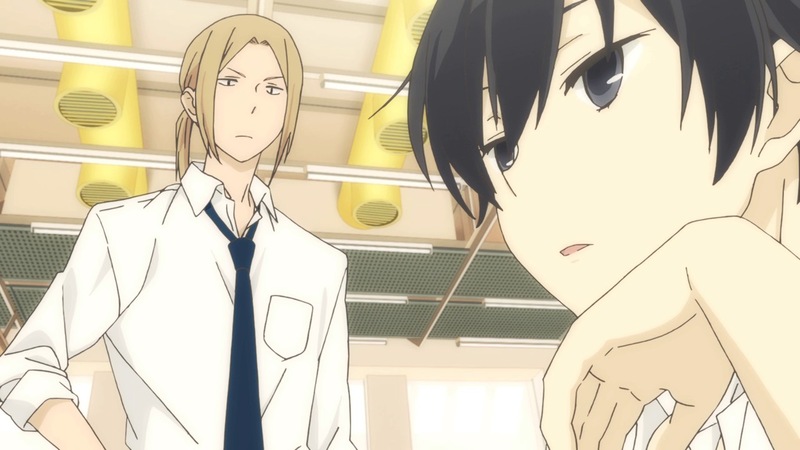 If you’re in the mood for a relaxing and entertaining show, then Tanaka-kun is Listless is the perfect go to. I’ll be honest, there was no way Shokugeki no Soma was not going to be on my list. I love this series and I love this franchise. I was so glad to get a second season for a series that I never expected to get one for. The second series was welcome, and even though some of it felt a bit more fast paced than I liked, I still loved and enjoyed every moment of it. 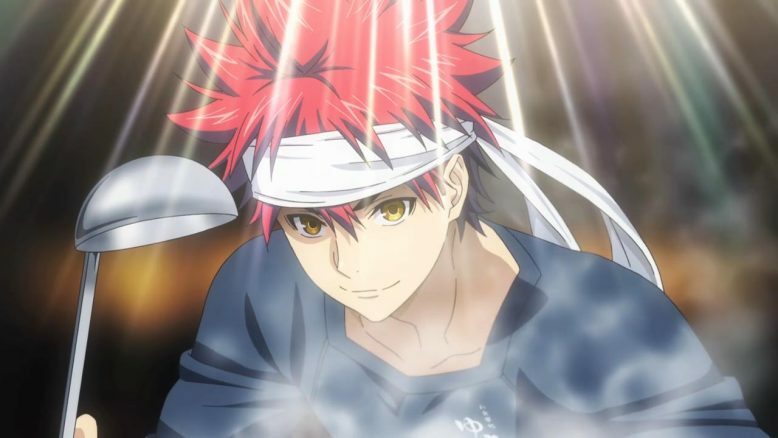 Shokugeki no Soma just does what it does exceedingly well, and the thing that I loved about this second season, was that is so masterfully kept up the momentum and the magic from the ending of the first season. I wish we were going to get another season of this series, but it seems very unlikely. I’m enjoying the manga quite a bit, and I think a big reason for me even following the manga is the fact that this second season was made, and that it sold me on the franchise one more time. This is another series that I just didn’t cover, but unlike the others shows on this list, I never could have. I just don’t think that the culture, the elegance and depth of this series was something that I have the cultural knowledge or background to really cover adequately. Thankfully, we had none other than the Josei next Door, Dee jump in and really really go indepth into this series, both from a literary and technical perspective. 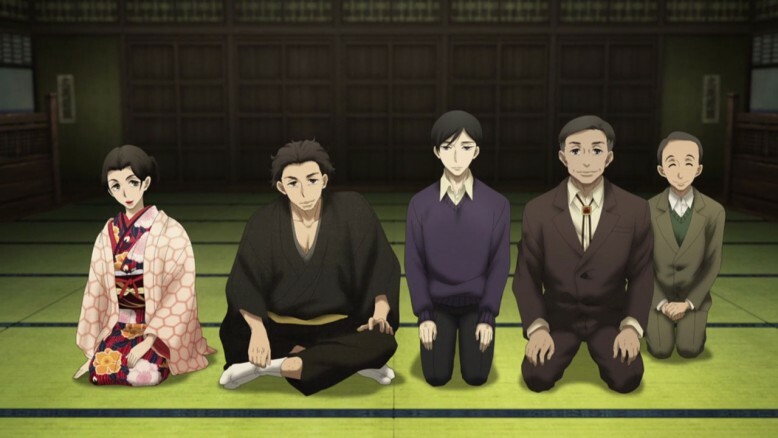 Showa Genroku Rakugo is also a series that is both emotionally powerful and is going to have a second season in 2017 (at the very start at that). It’ll be worth seeing what kind of story Season 2 is going to do, because season 1 was very much a story about what I’d call the past. It was a glorious look into a time of old, and one that I think stands on its own as something exceptional, regardless, of how season 2 itself turns out. Mob Psycho 100 is a series that I imagine is further up in a lot Top 10 2016 lists. For me, while Mob Psycho didn’t blow me away as much as the other 8 shows on this list, it did blow me away none the less. The visual style, the animation and the way the show just embodied the idea of a complex, busy and anxious mental state, was something that I think really made it stand out. 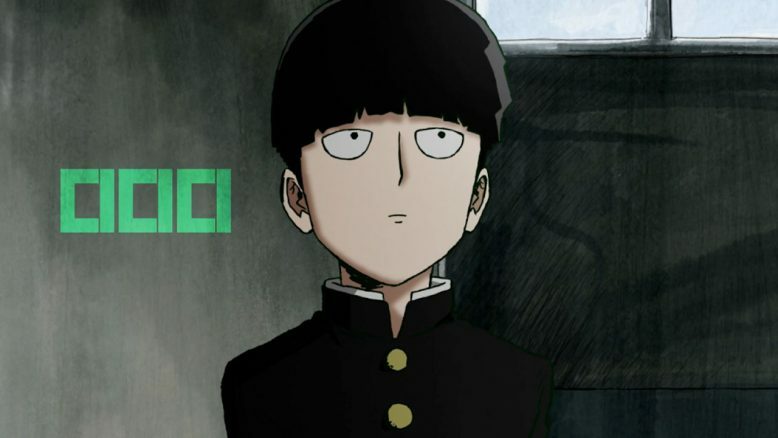 Mob was a really likable protagonist, The show itself had a sense of style and wit that I haven’t seen from anyone other than ONE. I do think, however, that One Punch Man is a slightly superior series, at least for me, but Mob Psycho is definitely still one of the best series of 2016, if not anime as a whole. Why is this show on the list? It doesn’t have a review or any kind of conversation on the site yet, and most people probably passed it by. 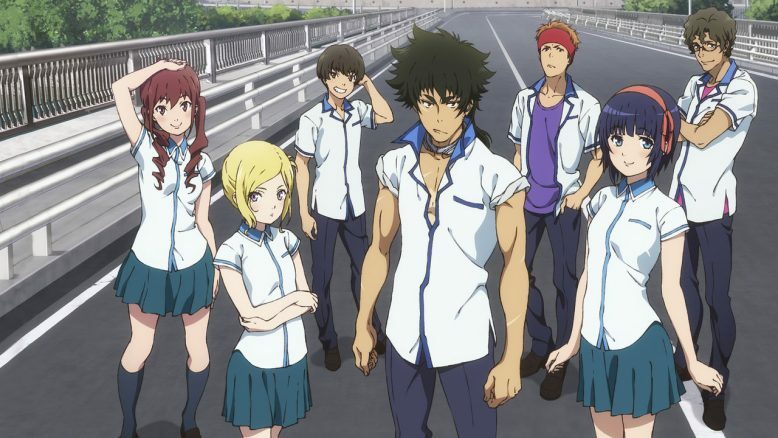 KuroMukuro is the PA Works, Netflix original series that ended this year with its second cour. I only watched this series at the very last moments of 2016, and had I seen it earlier, I would’ve really called out on the fun and joy I got from this series. This felt like a harkening back to the good old days of high school Mecha anime shows that seemed to really dominate the anime landscape in the early 2000s. There was a mecha show like this, with a weird interesting twist, almost every season for a while, and Kuro Mukuro felt like a very familiar and comfortable piece of clothing, that I was happy to wear and jump into after a long while. Its got all the trappings of a classic mecha show of its type. The show’s got some weird quirks, some odd highschoolers, time travel, science fiction and ultimately ends with the promise of something bigger. I hope this series sees a continuation, but even if it doesn’t, I still enjoyed it quite a bit. Go check this one out on Netflix and give it some love. Who knows, maybe that will lead to a season 3. And there you have it. My 2016 top 10 list. I feel like the list I had this year, is a lot more inline and a lot less controversial than the one I had in 2015. 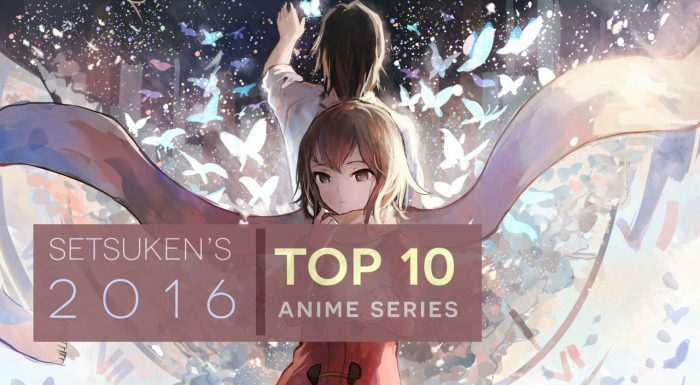 While 2015 was a year where I chose series that I personally liked, and that perhaps a much wider audience wouldn’t, I feel like every show on this Top 10 list is bound to appeal to most people. These are exceptionally well done series, and show just how great 2016 turned out to be. And this was a year where we got stuff like a second series for Arslan Senki, a new Nanatsu no Taizai OVA series, a new Berserk animated series and a ton of other solid stuff. There was a nice range and variety to the whole year, and nearly every season had at least one show that made it onto this list. That’s a pretty great year overall, and here’s hoping that 2017 will be able to deliver and follow the tough act that 2016 established.